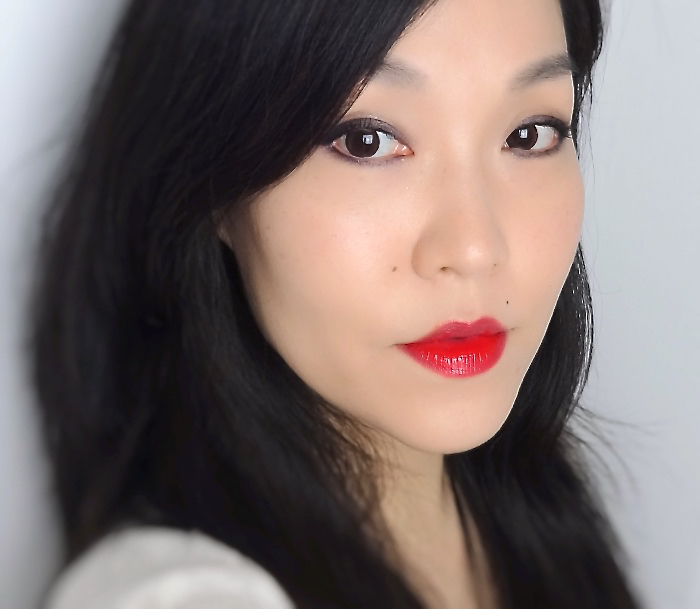 I love my first Pure Vitamin Lip Tattoo, Strawberry (reviewed). 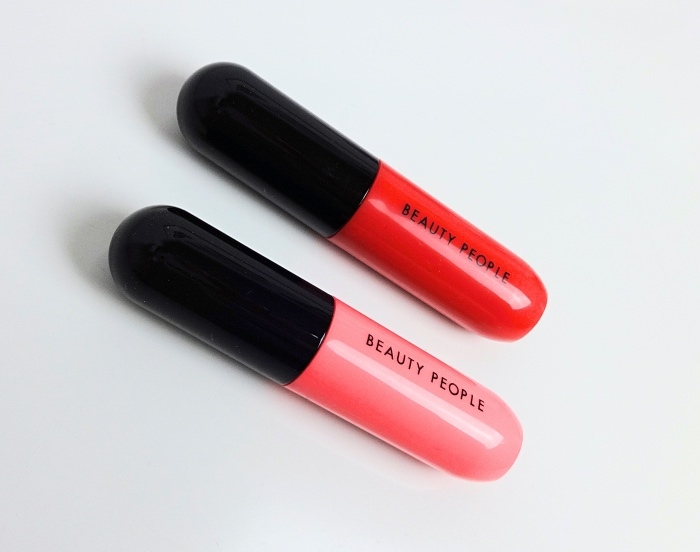 It literally jumpstarted my blogging after a long hiatus because I badly wanted to talk about this super long-lasting lip tint that feels comfortable on the lips. It was only natural that I got two more shades from the range. This time I picked up Tomato and Peach. Peach is a warm pink in reality, which I find quite wearable despite the white base. From wearing various lip tints lately, I've learned that even in the same range longevity varies depending on colors. 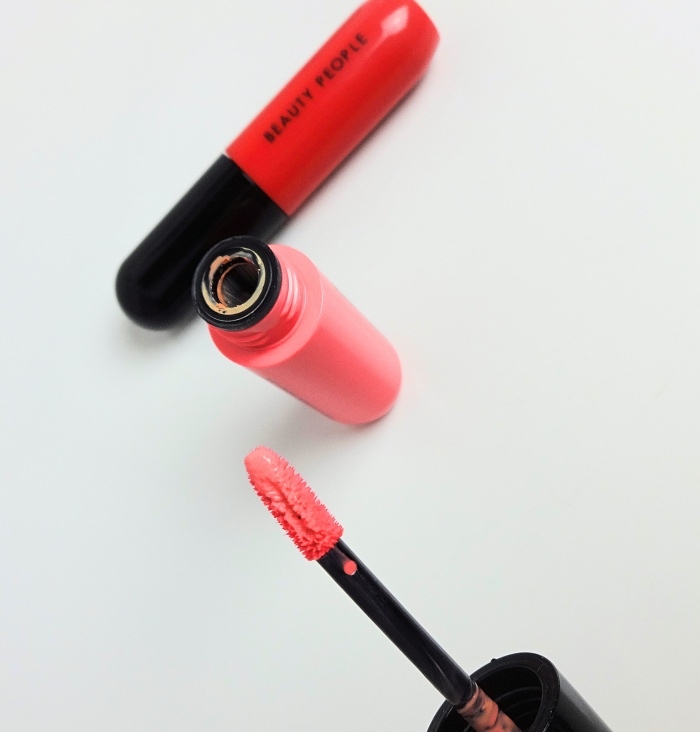 Usually a bright fuchsia with a neon undertone like Strawberry lasts longest (I mean, forever). 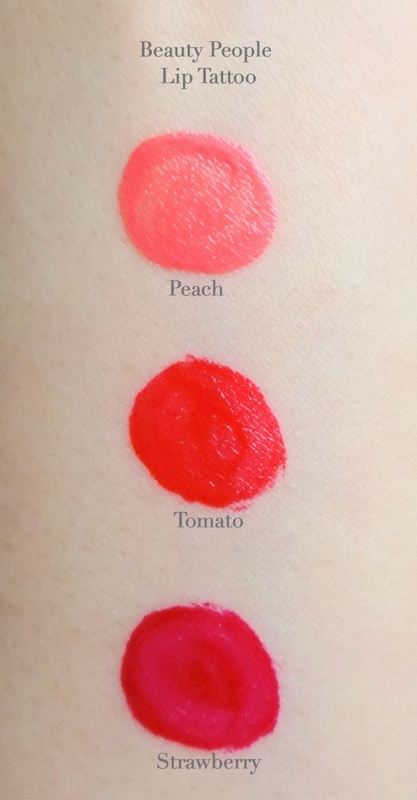 Reds like Tomato comes next but light/neutral colored tints don't last half as long that I don't see a point of wearing those colors in tint formulas which are supposedly less gentle on lips. I wiped the colors off about 30 seconds later. See Strawberry leaves the strongest stain where Peach barely leaves a hint of color? 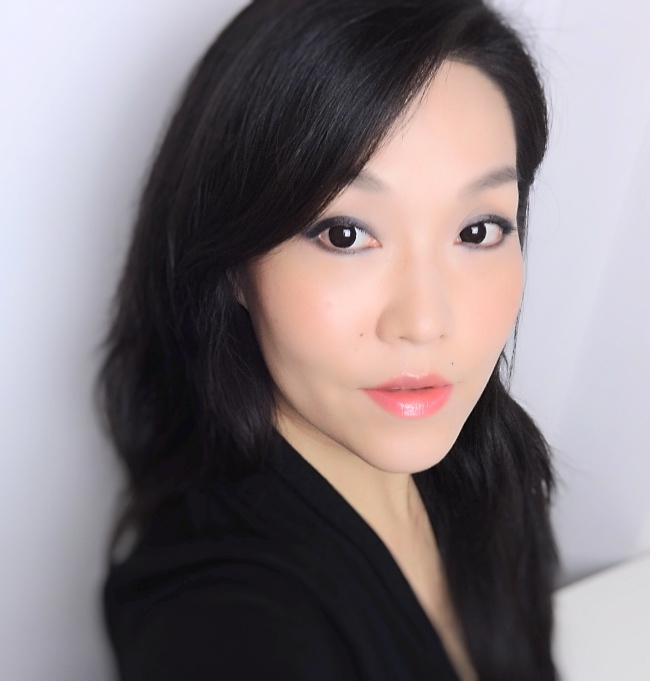 Although I prefer wearing my peachy pink lip colors in glossier formulations, Peach isn't bad at all. The Pure Vitamin Lip Tattoo isn't a drying formula anyway and the color is easy-to-wear and pretty. Tomato is a beautiful red. Judging from the name, I initially thought it would be a warm red, but this is a neutral red with high clarity. The color is very long lasting and looks flattering on my complexion. Hope you enjoyed this post! And sorry about another hiatus. I've been just busy with work and a few performances lately. There are still more than 10 different things waiting to be blogged (with all photos taken a long time ago) and there is more stuff which I haven't even gotten a chance to photograph. There are so many things I want to do in terms of blogging, too - updating my new skincare routines, doing more of look posts, finalizing a blog sale list, etc., but I'm trying not to get stressed about it. My cat Dooney says there's no point getting stressed about things that you're supposed to enjoy. Oh these stains look so good on you! Not sure if they would look as good on me but they look amazing on you. And your cat Dooney looks just like my cat Sophie!! 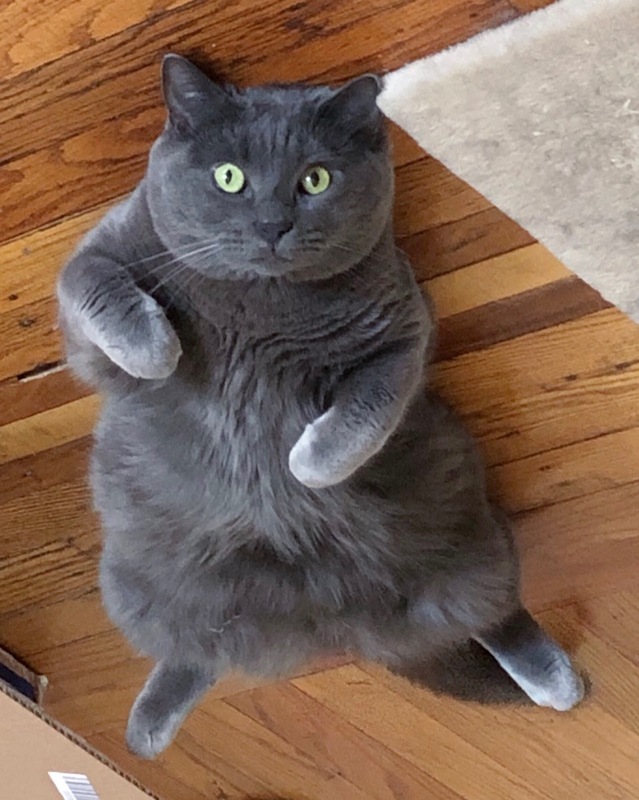 LOL Dooney is absolutely an adorable chubster. HAHAHA!! I'm putting these on my list now. I wonder if I can easily get Beauty People here and will keep a lookout. I love how both look wonderful on you and give very different vibes! Strawberry is my fave! Love that tone! Also your cat is bloody gorgeous! Love flaffy tummies! Thank you! The peach is one of the few wearable warm pinks among what I have in the same color family!